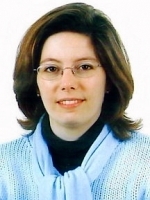 Ana Vieira received the Electrical Engineering diploma, the MSc degree and the PhD degree in Electrical Engineering, in the domain of Asset and Maintenance Management, from the Faculty of Sciences and Technology of the University of Coimbra, Portugal, in 1996, 2004 and 2014, respectively. She is a Teaching Assistant at the Tomar School of Technology of the Polytechnic Institute of Tomar, Portugal. Her teaching interests cover maintenance management, energy performance in buildings, energy savings and power quality. Her research interests include energy and maintenance management, maintenance audits, and maintenance strategies in asset management. Vieira, A. C. V.: ''Indoor Air Quality and Thermal Comfort in an Educational Building – Case Study''; IAHS World Congress on Housing: Sustainable Housing Construction, Funchal, Portugal, pp. 10, December, 2014. Conceição, J. L. F., ''LIPRONERG: Projecto e Consultadoria Energética, Lda. '', Supervisor: Vieira, A. C. V., Polytechnic Institute of Tomar, Portugal, 2017. Reis, A. F. O., ''Energy Auditing to Tuboplan Company'', Supervisor: Vieira, A. C. V., Polytechnic Institute of Tomar, Portugal, 2016. Pereira, C. B., ''Water, Gas and Electricity Audit of the Estabelecimento Prisional de Lisboa (in Portuguese)'', Co-Supervisor: Vieira, A. C. V., Polytechnic Institute of Tomar, Portugal, 2015. Garcia, J., ''Maintenance Management of the Nossa Senhora da Graça Hospital'', Supervisor: Vieira, A. C. V., Polytechnic Institute of Tomar, Portugal, 2015. Correia, J., ''Maintenance of the Electric Facilities at Matelmor'', Supervisor: Vieira, A. C. V., Polytechnic Institute of Tomar, Portugal, 2015.